Students from Ormiston Denes Academy got the chance to experience the daily lives of their teachers as part of a new project. The Year 11 students were invited to take part in the Teacher Experience within the academy for six days over the last two weeks. 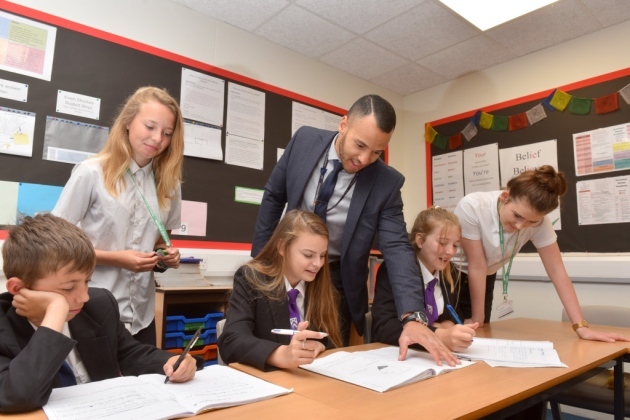 A selection of Year 11 students who have an interest in pursuing a future career in teaching have been invited to join the Maths Department for two weeks, helping to teach Years 7 to 10. During their two weeks, the students are being introduced to a wide range of teaching styles and classroom activities, in addition to teaching short sections of lessons and working with small groups of students. This initiative is part of Ormiston Denes’ Careers Education, Information, Advice and Guidance programme which includes students having access to a specialist careers expert for careers advice and guidance one-to-one. Ben Driver, principal of Ormiston Denes Academy said: “I’m very proud of how our Year 11 students have stepped up to this challenge, particularly considering that they’ve only just finished their GCSEs for which they’ve worked so hard for. “We designed this initiative to provide students with an insight into the world of teaching and to provide them with vital work experience. 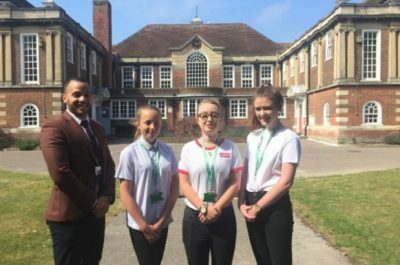 The photograph shows Year 11 students Katie Minister, Lauryn Salter, Nicola Bowers, Imogen Tyrell and Holly Morrison, who all took part in the scheme. Posted in Academy news on 27th June 2018.